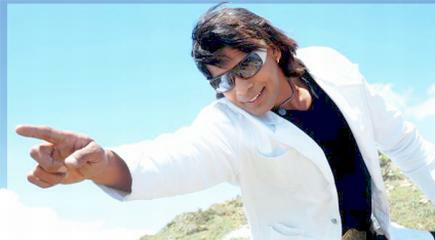 The action star of Nepali movies has become the action hero of Bhojpuri movies. In the last three years of working in Bhojpuri movies, he has already done 19 movies and many of them were successful, establishing Biraj (or Viraj) as a successful Bhojpuri star. While he was in Nepal for Tihar, he talked with the journalist of an online film magazine. In the interview he told that he is too busy in Bhojpuri movies and about a dozen of his Nepali movies are still unreleased. He told that he has decided to wait until all the movies are released and also told that he will be more choosy when signing new movies. Biraj told that he has already signed 3 Bhojpuri movies for the next six months. So, he won’t be able to do Nepali movies in that time, even if he wanted to. In the last year out of 9 Bhojpuri movies he did, 6 were successfully screened.